Comet pressure washer pump reviews is aimed at giving you a detailed insight into each of the pumps available from Comet. 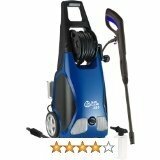 There are numerous Comet powered pressure washers on the market today in as far as the pump is concerned. Pressure washer pumps by Comet are found in use combined with Honda engines and even other engines made by other pressure washer engine manufacturers. In general pumps for pressure washers from Comet are used in home and heavy duty industrial pressure washers ranging in PSI from 1500psi to as high as 4000psi. These pressure washers using Comet are powered by both gas and electricity (electric). As you search for a replacement pump, to find the correct fitting Comet replacement pressure washer pump know your current pressure washer shaft size of the engine to which you will bolt the replacement pump. Your replacement pump shaft size and horse power (hp) has to match your current pressure washer engine. That way you stay out of danger of misfits. In terms of price the pumps by Comet range from $100.00 to as high as $400.00 depending on the type of Comet pressure washer pump you are in search of. This Comet washer pump is identified as item part number A1577541. It was designed to replace part number A157754. It is typically designed to allow a fast replacement even whilst at the job. The pump is specifically designed for fitting on a pressure washer with maximum PSI of 200 and Horse Power (HP) of between 5 and 6.5. Further it can only be used on gas powered pressure washers. Depending on the pressure washer you have you my want to note that it fits 4 bolt face plates. This pump model is designed for horizontal shaft engines and may not be used on vertical shaft engines. This Comet washer pump model only accepts a 3/4" shaft. If you are looking for a Comet pump that for 7/8" shaft you may consider their pump model VRX2525G7. It looks the same as this one the only difference being the shaft size. Some users have reported successfully using this comet pressure washer pump on a Generiac pressure washer of 8 HP albeit with an adapter for one of the fittings. Selling online for about $180.00 this Comet pump is considered one of the low end priced pumps. One key thing that has impressed many buyers of this pump many of whom are handy men and professionals is the ease with which it can be replaced. A few have complained of water and oil leaks. This might be as a result of the bolting as well as poor maintenance. 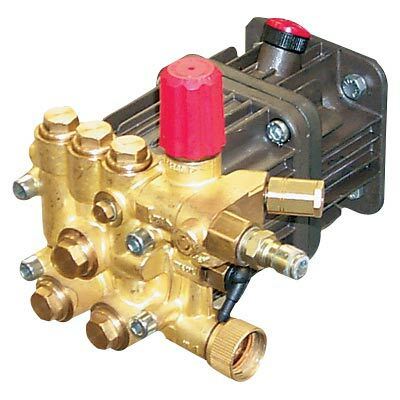 This Comet washer pump is a very good option just need to ensure it fits your requirements. This is one of the most priced Comet washer pumps selling for nearly $400.00. Just as the one above this Comet pump for your pressure washer is also designed to be a quick change. A change can be accomplished in a matter of minutes even as you are on the job site reducing your downtime to minutes. In fact some users have reported changing this pump in as little as 20 minutes in the field. This pump is for heavy duty commercial pressure washers with maximum 4000 psi and 3.5 GPM which run on gasoline and have an engine horse power of between 11 and 13hp. The shaft diameter is 1 inch. Again this pump fits 4 bolt engine face plates an important consideration if your replacement is to fit on the washer engine. This Comet washer pump is designed to be a replacement pressure washer pump for washers of maximum 2700psi, 2.5 GPM and with engines of between 5 and 6.5hp. 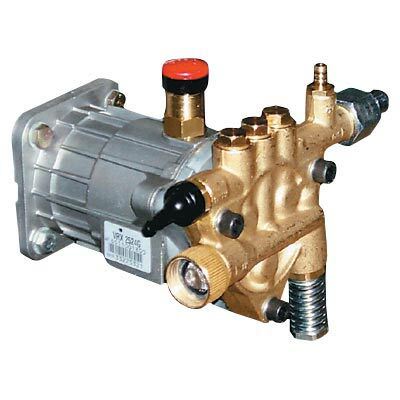 To use this replacement pump your washer will have to be a gasoline powered and with a shaft diameter of 3/4inch and fits 4 bolt engine face plates. Like many of Comet pumps this also is designed to be a quick change in the field with minimum downtime. 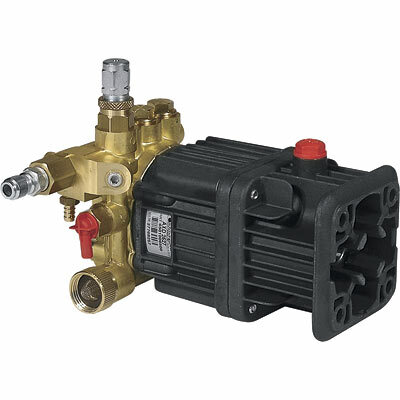 It is akin to a plug and play pump that is pre-plumbed and pre-tested. 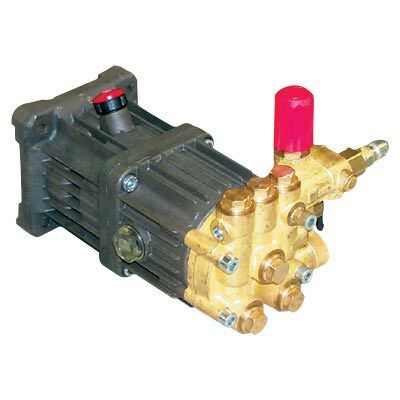 This pump only works with horizontal shaft engines and therefore can not be used on vertical shaft engines. Just as other Comet pumps for pressure washers this pump also has a site glass to enable you to view oil level and ensure that it is in the safe zone. The larger body size may be given credit for its ability to handle heat very well avoiding overheating. Users have successfully used it as replacement pump on Briggs and Straton pressure washer of 6.5hp and 2800psi. Since this pump has maximum 2700psi you will likely loose 100psi in the process which might be a small price to pay if your projects do not require as much pressure. See where you may purchase this pump. Comet Washer Pump Model VRX 2017V - Selling for $100.00 this pump is designed for 1700psi pressure washers with 4hp and 2 GPM. It is clearly for a typical home pressure washer however running on gas. It is maintenance free and will require no oil change. 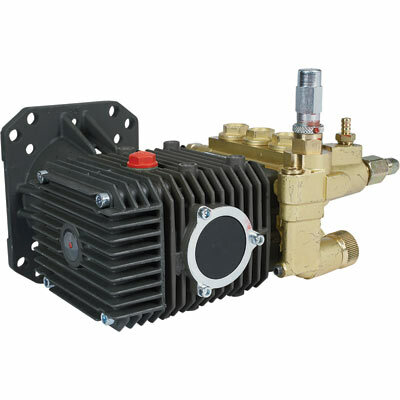 It is equally designed to be a quick change replacement pump that fits 3 bolt engine face plates. It has a shaft diameter of 7/8". This pump is unique from all other Comet pumps reviewed here in the sense that it is designed to work on a vertical shaft engine. This pump is available from various online stores. Comet Washer Pump Model BXD2530G - This Comet pressure washer pump sells for about $200.00. It is designed for 5hp pressure washer engines, 2.5GPM, 2700psi and horizontal shaft engines. The pump takes as little as 10 minutes to install and is designed for quick and easy installation. In many cases Comet pressure washer pumps have been praised for being even more superior than OEM pressure washer pumps. This pump includes a low pressure suction for detergent spraying. Read reviews for this pump. Comet Pressure Washer Pump Model AXD3032G - This Comet pump model sells at $300.00 on reputable online stores such as Northern Tools. This is a gas washer pump of maximum psi 3000 and 3 GPM and of 8 to 9hp. It fits a 4 bolt engine face plate for horizontal shaft engines of 1 inch in shaft diameter. Again this is one of the easy to install replacement pumps by Comet. It enjoys excellent ratings and considered better than OEM pump. 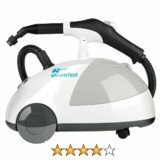 Overall Comet pumps will work on a range of pressure washers including Simpson, Faip, Generac, Campbell Hausefeld, Northstar and many others.